The toxic relationship between xylitol and dogs has become more of a problem over the last few years. Xylitol is a naturally occurring sweetener that is harmless to humans but is toxic to dogs. As xylitol has gained popularity as a food additive, the number of cases of xylitol poisoning in dogs has increased. Xylitol is similar to sugar, but has fewer calories, a much lower glycemic index and has been shown to be beneficial for oral hygiene as it helps prevent cavities. These factors are what have made it so popular in human foodstuffs. The ingredients list for ‘Nuts ‘n More Toffee Crunch’, listing xylitol as a sweetener. Not all brands use xylitol as a sweetener or additive. It is worth checking the ingredient lists of individual products listed above. 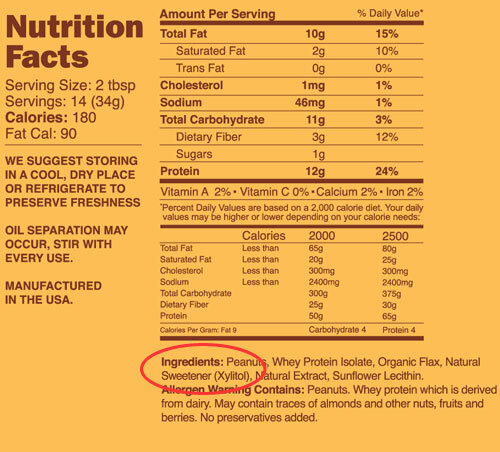 If xylitol is used as a sweetener, it will be listed in the ingredients section as shown to the right. 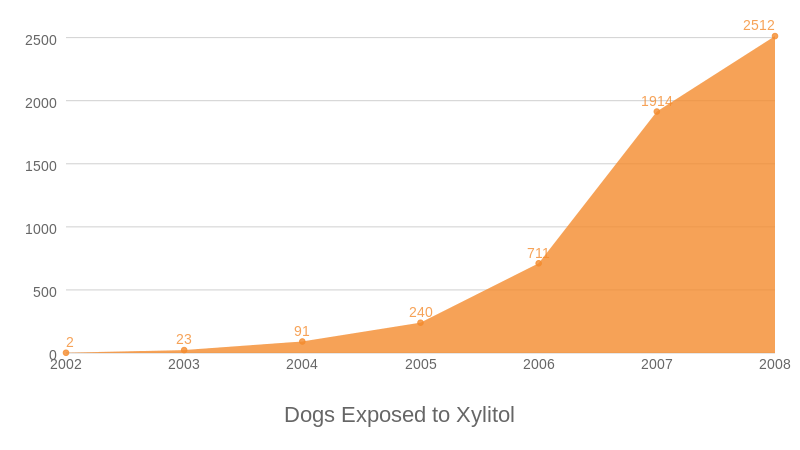 The number of dogs exposed to xylitol annually as reported to the ASPCA Animal Poisons Control Center 2002-2008. As little as 0.1g of xylitol per kg bodyweight is enough to cause toxicity in dogs 1. In 192 cases of xylitol poisoning, 0.32g/kg was the average amount of xylitol consumed 2. A dog consuming more than 0.5g/kg of xylitol is at risk of liver failure and should receive immediate veterinary attention 3. Absorption is much faster between xylitol and dogs than humans. Xylitol toxicity can occur after just 30 minutes. This is enough time for symptoms of poisoning to show, including vomiting and hypoglycemia. However, some dogs may not show symptoms for up to 48 hours after ingestion. Due to the rapid absorption of xylitol, common poisoning treatments are not effective. Inducing vomiting or activated charcoal are unlikely to have any preventative effect. 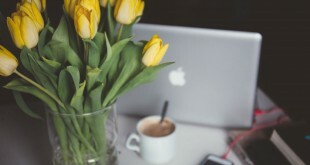 In fact, there is little that can be done at home to treat xylitol poisoning. Veterinary treatment in recommended in all cases where dogs develop symptoms. If the amount of xylitol consumed is low (<0.5g/kg), the dog should be monitored over 72 hours. Blood glucose and liver enzyme levels should be monitored during this time. Intravenous dextrose can be given to maintain normal glucose levels. In cases where the amount of xylitol consumed is greater than 0.5g/kg, dextrose treatment should begin immediately. Supportive therapy to protect the liver should also be given. SAMe, silybin and vitamin E may support the liver. If treatment for hypoglycemia is prompt, the prognosis is usually good. If liver damage is severe however, the prognosis can be poor. 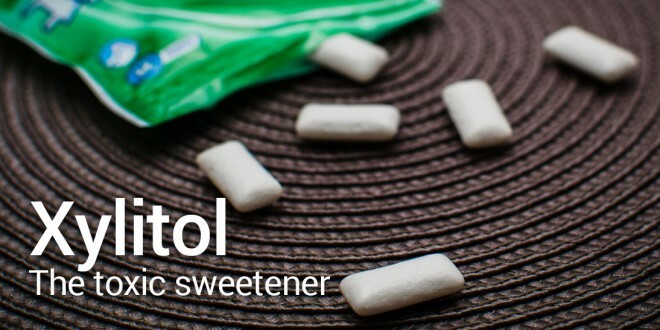 Because xylitol is included in so many foods and products, it can be difficult to completely remove xylitol from the home. Xylitol and dogs don’t mix, so if you’re a dog owner, be sure to avoid these products at the supermarkets. If you can’t avoid xylitol products, make sure they are out of reach in the home. Be wary of handbags that are often left on the ground in reach of dogs. Bags and purses can contain a few xylitol products, such as gum. See our infographic about gum and xylitol below. Most sugar-free gums contain xylitol, but xylitol-free, sugar-free gum is available. Peanut butter is a commonly used to reward dogs, or stuffed in to dog toys to provide stimulation. If you do this, be aware that a number of peanut butter brands are now beginning to include xylitol in their formulations. Always check the label to make sure it’s xylitol free. Consider using a 100% natural peanut butter to be sure. When brushing your dog’s teeth. Be sure to use specially formulated dog toothpaste and not human toothpaste that can contain xylitol. See our guide on doggy dental hygiene.